Love Water Memory is exactly the type of book that I just LOVE. And yes, that needed capitals. Everything about this book was just fantastic. The story was entirely captivating and well paced. I didn't want to put the book down but of course had to but the story stayed so fresh in my mind that I didn't hesitate for a moment to remember where I was at and what was going on. The story is a bittersweet one of a woman who has lost her memories. All of them. I cannot even begin to imagine what this might be like. I imagine it would be very frustrating but perhaps also liberating. I am pretty sure that the author did a great job in portraying Lucie's reactions and actions both in realistic ways. The story is a wonderful one of a woman losing everything to gain everything back. It was a book that gripped me and captured my emotions. The character was often on an emotional rollercoaster and therefore so was I. This was definitely the greatest strength of the book. That I got so completely lost in it that I felt like I was living it along with Lucie. It is rare that a book so completely grips me like this but it truly did. 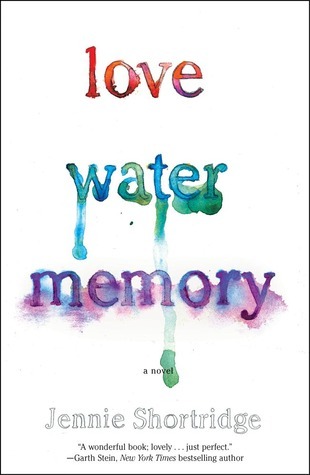 I also quite enjoyed the fact that I did not expect or figure out a lot of the things that occurred in Love Water Memory ahead of time, like what had happened to Lucie or to her parents in the past. Shortridge did a great job of weaving this story together in a believable and shocking way. Thank you to Gallery Books for our review copy. All opinions are our own.